Our office hours are Monday - Friday 9am - 5.30pm (closed on public holidays) - But you can still contact us outside of this. We have staff on standby who monitor the messages and can respond accordingly. There are some things you can try for yourself first... like restart your connection, check your account, and check our network status. You'll need to reboot all the Primo gear, depending on your connection type this includes the radio on your roof, router, modem and VoIP units. (Note that simply turning it off at the wall won't work properly). Unplug the power cord from the back of the router/modem and leave out for 15-20 seconds before plugging it back in again. It will take a few minutes to restart itself. Find the cable that comes out of the wall or floor from the radio on the roof. 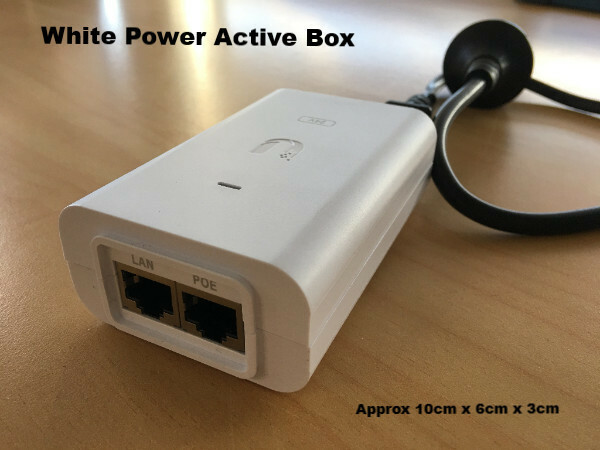 This plugs into a small power box (black or white, see photos below). 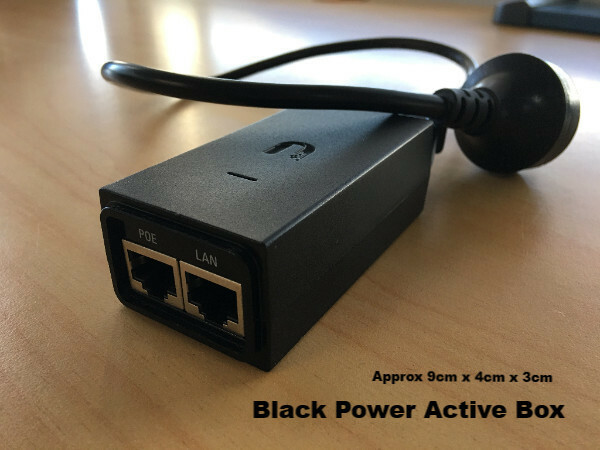 At one end there is a power cord and at the other end two ports, one named POE the other LAN. Take out both the power cord and the POE cable from the power box, wait until the power light goes out fully (this is the white or green line on the top) and then plug the power and POE cables back in. If you have more than one power box do it for all of them. Don't forget your router (and VoIP unit if you have one) take out the power cord for 20-30 seconds before plugging back in. That's it - easy! Give it a few minutes to work its magic and retry your connection. Check your account balance, maybe its overdue and has been slowed down, remember you can pay your account online with a credit/debit card and resume normal services quicker! If there are known disruptions on our network these will be stated on our PrimoWireless Facebook Page. Be sure to follow us so you receive these notifications. If there are no notifications then please contact us as soon as possible. If we don't know there is a problem, we can't resolve it for you. We provide a free emergency business after hours calling service. This service is only free to customers paying for business or corporate plans*. Selecting this option on our phone service will direct you to an on call technician.